dulate laterally (rather than moving straight forward as mammals do). The vertical limb placement in mammals also allows removal of size constraints so that mammals may become much larger than amphibians or reptiles. (The large Mesozoic reptiles actually had limbs placed under the body also.) Another difference in the mammal skeleton is that it ceases growth in the adult, saving metabolic energy. Mammal long bones grow from bands of cartilage positioned between the diaphysis (shaft) and epiphyses (the ends). This allows permanent articulations between bones and forms well-established joints. The mammal skeleton has been simplified in that many bones have fused, decreasing the number of growth surfaces overall, and saving metabolic energy that would be used for maintenance. 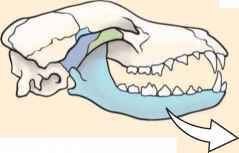 An example is the mammal skull, which is more ossified and simpler than those of other vertebrates. Bones that are fused in mammal skulls are separated by cartilage in reptiles. Ossification provides more surface area on bones with larger sites available for muscle attachments. Exceptions to many of these mammalian characteristics are found among the living monotremes. Some mammalogists actually believe that monotremes should be classified as therapsid reptiles because they have laterally placed forelimbs and their skeletons contain separated bones that are fused in other mammals, and, like reptiles, they retain cervical ribs. Ribs in most mammals are attached to the vertebral column only in the thoracic region; reptiles have ribs attached to cervical, thoracic, and lumbar vertebrae. This rib arrangement allows mammals to lie on their sides for resting or to suckle their young. The bones that make up the limbs in mammals are part of the appendicular skeleton. The forelimbs of mammals are attached to the pectoral girdle, consisting of a scapula and a clavicle (collar bone). 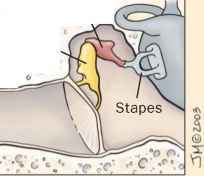 The scapula is held in place by musculature, which provides the high mobility important in many locomotor modifications. The pectoral girdle articulates with the axial skeleton (skull, vertebral column, thoracic cage) only through sternal bones, which allows a large range of motion in the shoulder. The pelvic girdle supports the hind limbs and consists of a coxal bone (the fusion of three different elements from the reptile condition) that attaches to the axial skeleton at the sacrum. How are mammals body design?